Our Donway Dental team has been carefully selected for their skill, experience, and passion for dentistry. Whether you are visiting us for a routine hygiene appointment or a complete smile makeover, our attention to detail and standard of care are bound to exceed your expectations. We constantly aim to develop lasting relationships with our patients to ensure both long-term and immediate oral health success. Contact us today to learn more about our team or to schedule an appointment. 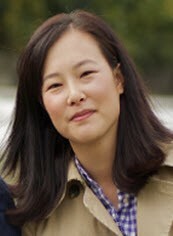 Dr. Jae Hee (Jennifer) Kim has been practicing dentistry for the past 12 years. After obtaining a Doctor of Dental Surgery degree from Western University in 2002, she completed a General Practice Residency at York Hospital in Pennsylvania and worked in this large hospital-based dental facility for an additional two years. During this time, she performed complex oral surgery, implant surgery and restoration, dental consultation and treatment of in-hospital patients, comprehensive rehabilitation of pediatric patients under general anesthesia, and comprehensive dental care for mentally- and physically challenged patients from long-term care facilities. Dr. Kim currently enjoys practicing all aspects of dentistry, including root canals, implant restorations, fillings, and cosmetic dentistry. 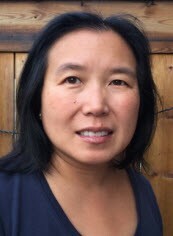 Away from dentistry, Dr. Kim enjoys spending time with her husband and two young girls. She is an avid reader and enjoys learning new recipes to try at home, and traveling with her family. Dr. Kim is excited to join Dr. Soota's team of excellent dental healthcare providers. She looks forward to developing a wonderful long-term relationship with the patients and the staff. With proper training, a general dentist can diagnose and treat an implant patient from start to finish. This is an excellent option for patients because they are able to receive this level of care from a doctor they have come to know and trust. With this philosophy in mind and his honest common sense approach to dental treatments, Dr. Mario Pistol shares both his achievements and challenges with his patients. Dr. Pistol received his dental degree from the University of Toronto. 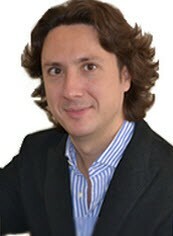 He kept the connections with the University, by becoming clinical Instructor at the Faculty of Dentistry. His extensive surgical and prosthetic training in the Nobel Biocare implant system has been successfully integrated into his practice. Dr. Pistol is very proud to consider himself a visionary in the dental implant field with his unique Immediate Implant Placement technique and Immediate Temporization. The technique allows patients to see the results immediately and resume their daily activities. "Seeing patients smiling at the end of the appointment is the greatest reward." Dr. Richard Kodama retired and merged his practice with Donway Dental in August 2017. Jackie was born and raised in Toronto. She graduated from York University, with a B.A. in Psychology in l994 and continued her education at George Brown College where she graduated with a Diploma in Dental Hygiene in 1998. 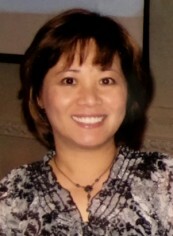 Jackie has been with Donway Dental for over 15 years. She has provided a gentle touch and shown special care to her patients since joining our team. In her free time, she enjoys spending time with family and friends as well as keeping fit! She enjoys running and yoga. Angela graduated from the dental hygiene program in 1992 from Algonquin College. She strives to keep up to date and relevant in the dental hygiene field. She is married with two teenagers who keep her busy outside of work. In her free time, she enjoys watching her son play hockey, her daughter dance, Watching movies and spending time with friends and family. Shiela obtained her Level 11 certificate from The Ontario Dental Nurses and Assistant Association and also The National Dental Assistant Examining Board of Canada. She has a diploma in Associate Arts and a degree in Doctor of Dental Medicine, both obtained at Centro Escolar University, Manila, Philippines. 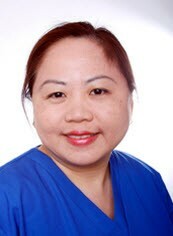 She has been working at Donway Dental since 2003 and speaks English, Filipino, and some Spanish. Shiela likes to spend time with her family and friends. Evelyn graduated with a Bachelor of Science in Commerce, with a Major in Management from Manilla, Philippines. 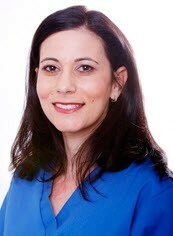 She has been in the dental field since 1999 after graduating from the Toronto School of Business. A normal weekend for Evelyn is spending time with her husband and young son, watching the latest blockbuster movie on Netflix.